Choose flowers that are in season to get the best prices. 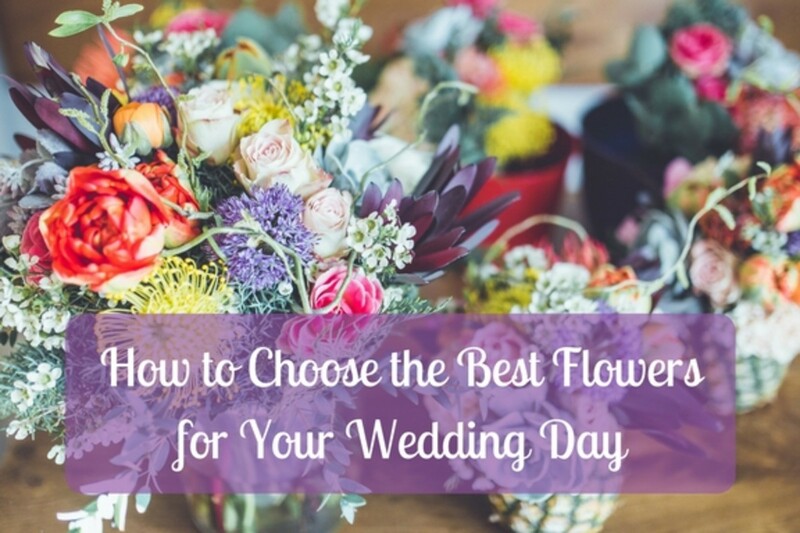 Discover Which Flowers Are in Season for Your Wedding! Every month has its own seasonal flowers. To obtain the freshest, most beautiful, and affordable flowers, it helps to know what is readily available for your bridal month. Flowers are one of the more expensive wedding purchases aside from the wedding venue and food costs. These arrangements add to the beauty of a wedding while also wafting a lovely fragrance and natural ambiance to the entire scene. 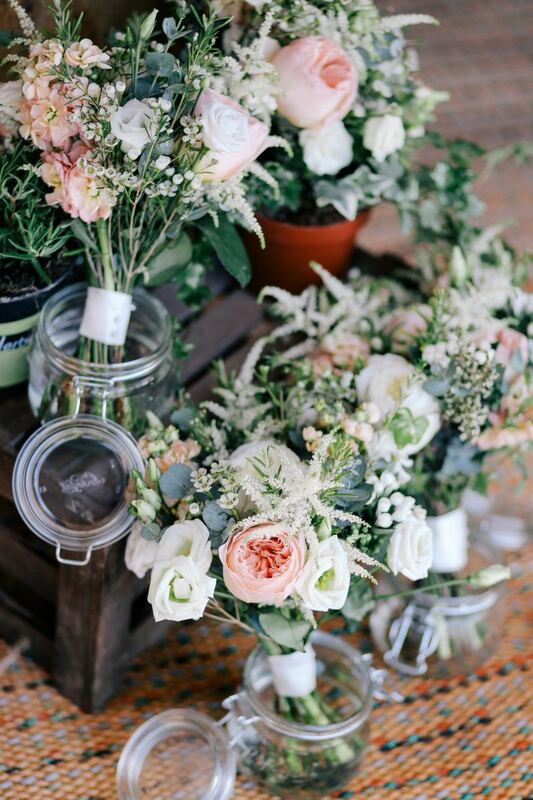 How do you choose what flowers to use to convey the mood you want to set? Look at the months you are considering for your wedding date. Consider the colors of your wedding theme. Brainstorm your favorite flowers that you'd like to include. Make your choice from the readily available blooms for that time of year. Many flowers are available year round, but even with the worldwide growers and fast shipping currently in existence, there are some blooms which still remain seasonal. Many of the classic blossoms are available. They may be combined with surprising elements such as evergreen foliage, berries, or sparkling baubles. The resulting look is most often an elegant one. 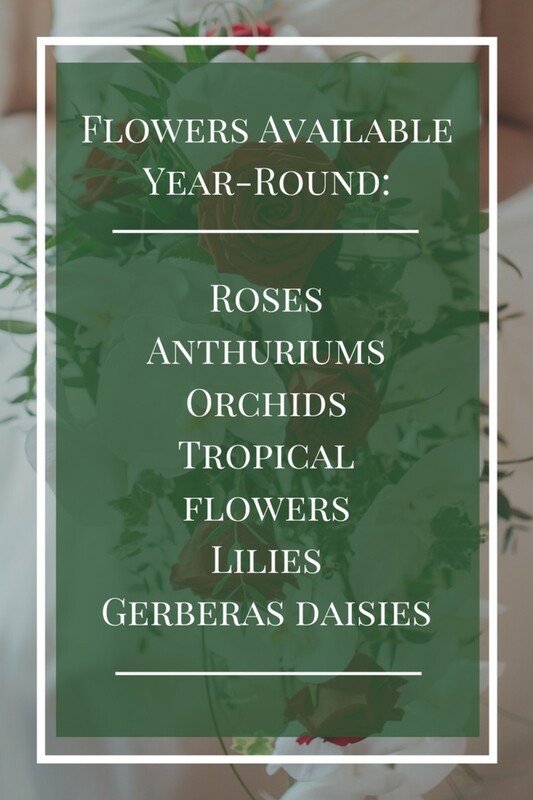 Refer to the table for blooms available in the spring. Some are only available then, like peonies. As you might expect, this season offers the most choices, from Astrantias to Viburnums and multitudes in between. The colors range from light to bright and include some rich, deep tones. During this time, berries, flowers in richer and brighter colors, and harvest themes abound. Tulips are at their best quality and pricing in February. Lilacs are in season in the spring. Don't expect them during other seasons. Hydrangeas are in season during the summer. You could still access them during the other seasons, but you'll be working with inferior blooms. Gardenias will brown or bruise very easily from any physical contact. Callas are sensitive to cold temperatures and can suffer from frost damage. They tolerate the heat well because they retain moisture efficiently. Lily of the valley can be very expensive, and their availability is usually limited to May. Stephanotis, or Madagascar Jasmine, is extremely delicate. What Flowers Symbolize What Months? 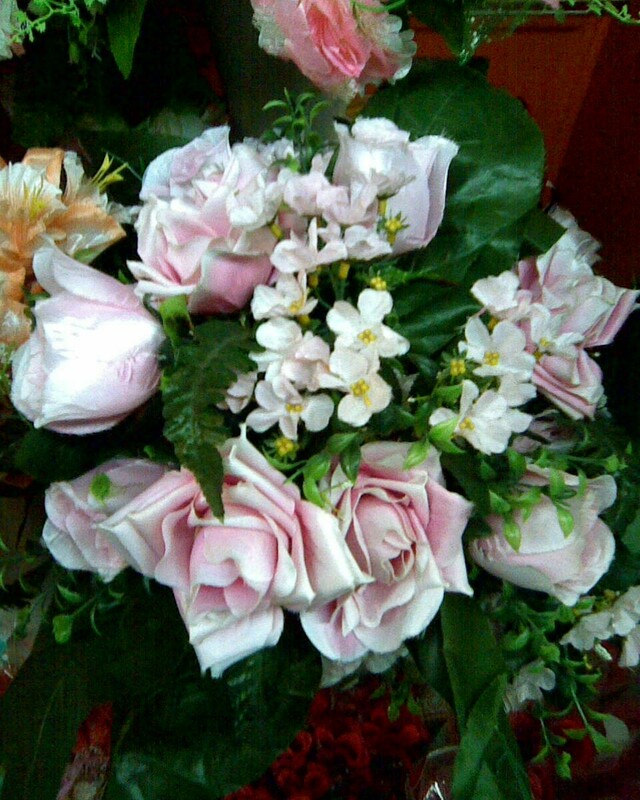 Many fresh flowers are chosen for their meanings. 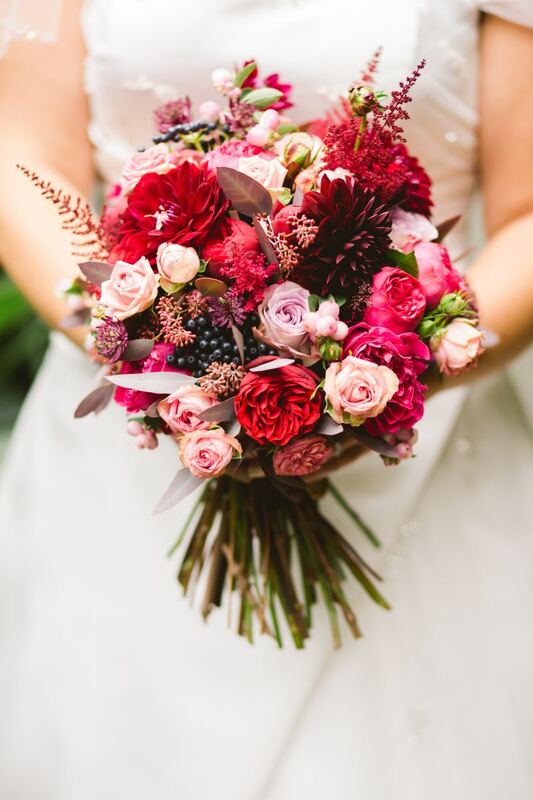 Ever since Kate Middleton became the Duchess of Cambridge, the Countess of Strathearn, and Baroness Carrickfergus, flower meanings have become much more a part of modern wedding flower choices. 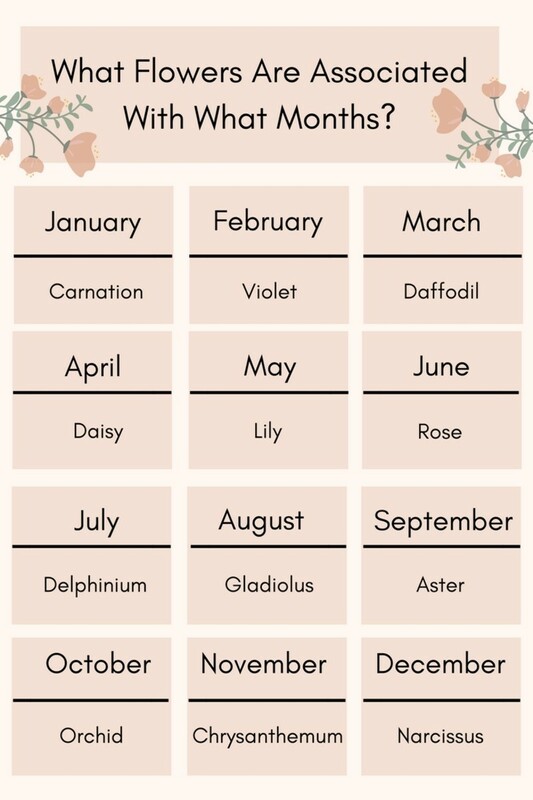 If you don't want to go by traditional flower meanings, another way to choose them would be to combine "birth month flowers." 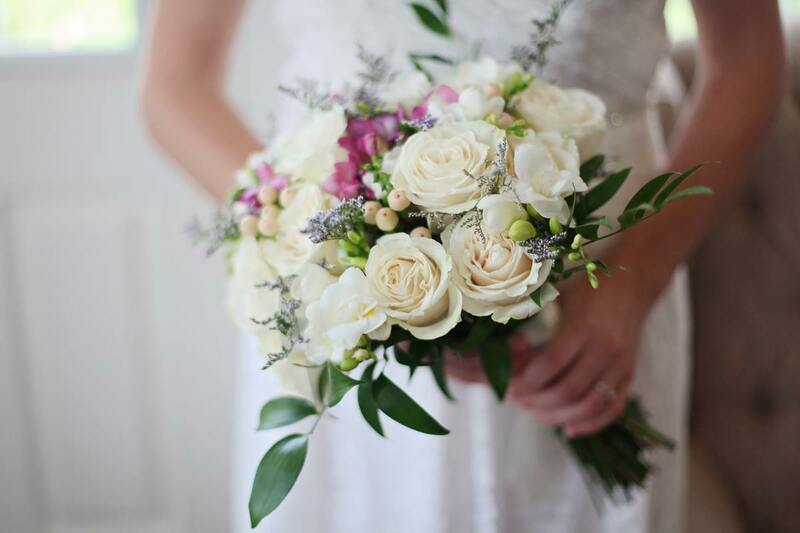 According to experts, ninety-five percent of wedding bouquets are hand-tied. Besides the actual flowers, materials you might use to create bouquets and centerpiece arrangements are the following: visual accents, ribbons, and wire. 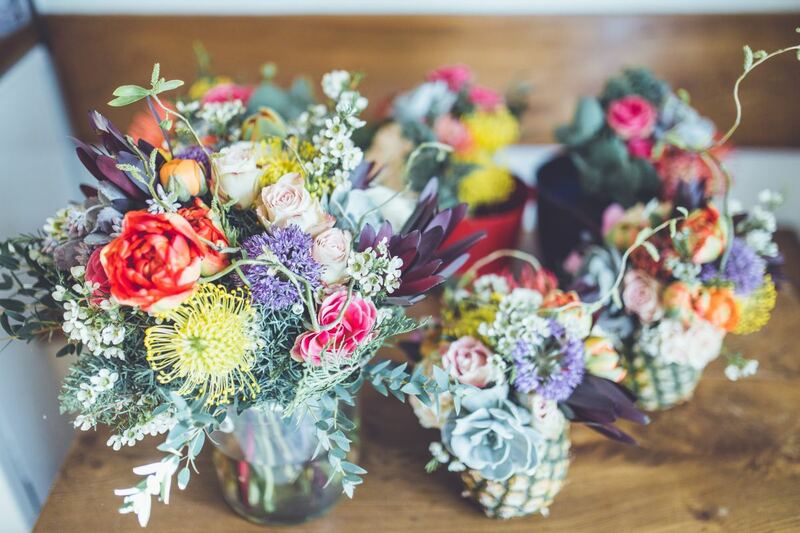 Here are different floral styles you can try. In these bouquets, the flowers are bunched together. Then, the stems are wrapped in a wide satin ribbon. Brides who wish for glamorous bouquets can choose beads, jeweled pins, rhinestone picks, pearls, and decorated ribbons (sometimes with monograms) to adorn the plain ribbon-wrapped base. Beach and garden themes, which continue to be quite popular, have a more rustic and natural look. Rustic elements include shells, starfish, feathers, sand dollars, berries, twigs, or pinecones worked into the arrangement. The rose, an elegant bouquet flower, reigns as queen in the floral shop as she does in the garden. 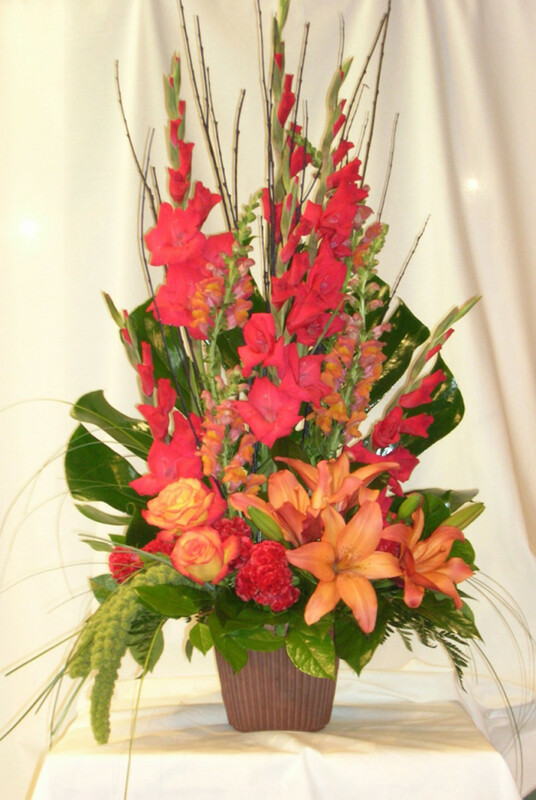 Trendier flower choices are lilies, full-blown peonies, romantic hydrangeas, tulips, and elegant orchids. 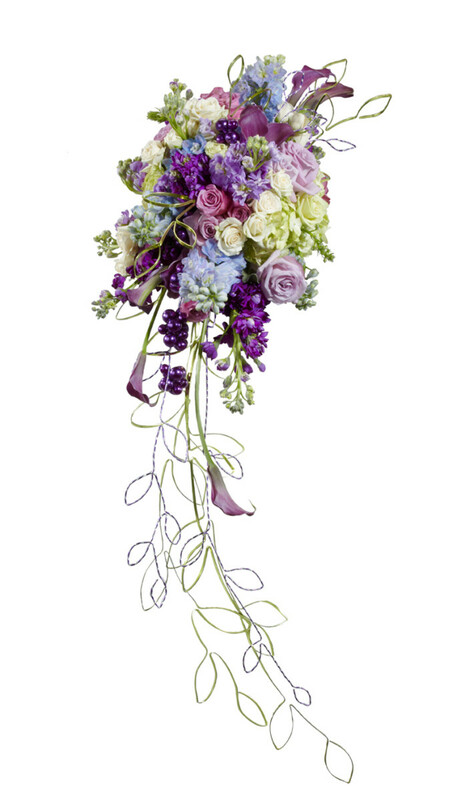 The just-picked casual look of loosely arranged flowers is increasingly replacing the tightly-bound bouquet shapes. 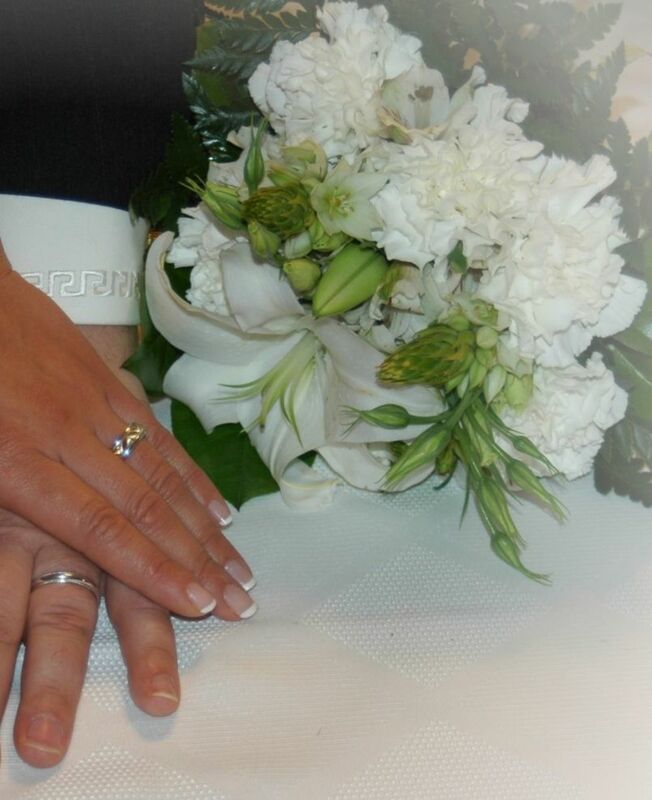 The vivid flower colors in both wedding colors and flowers are continuing to grow in popularity. 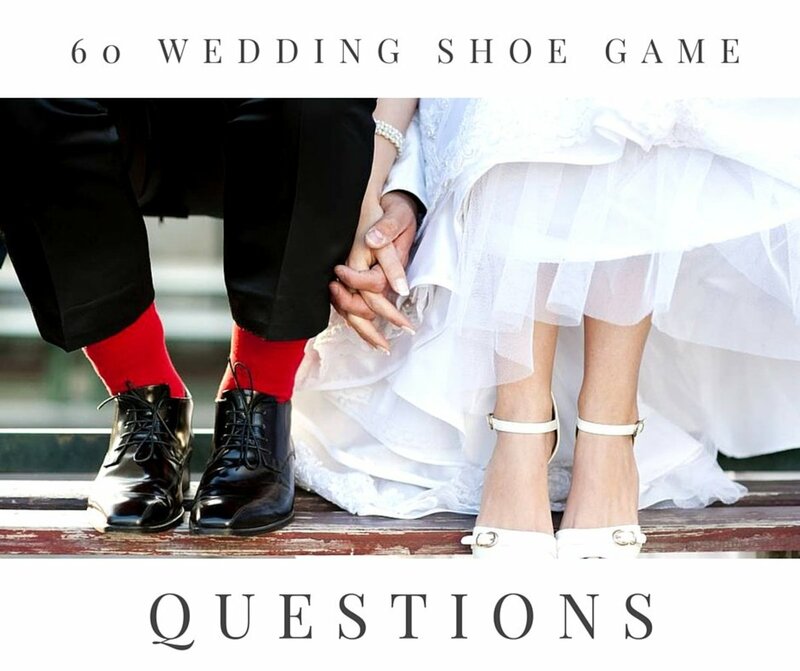 What Colors Are Trending for Weddings? One of the top trends for weddings is mint green, with centerpieces and even bouquets incorporating succulents to create a subtle mint green palette. The newest colors are fresh pastels and of course, gorgeous red. Experiment with colors that are dusty and reminiscent of an old-fashioned era. Examples are dusty pear green, light tangerine, light aqua, or gold matched up with gray, chestnut, or beige (the muted, subtle, and tender colors). Chocolate brown or black paired with bright jewel tones, turquoises, and pinks will still be a popular palette. Teal and purple make a stunning pair—think peacock feather colors. 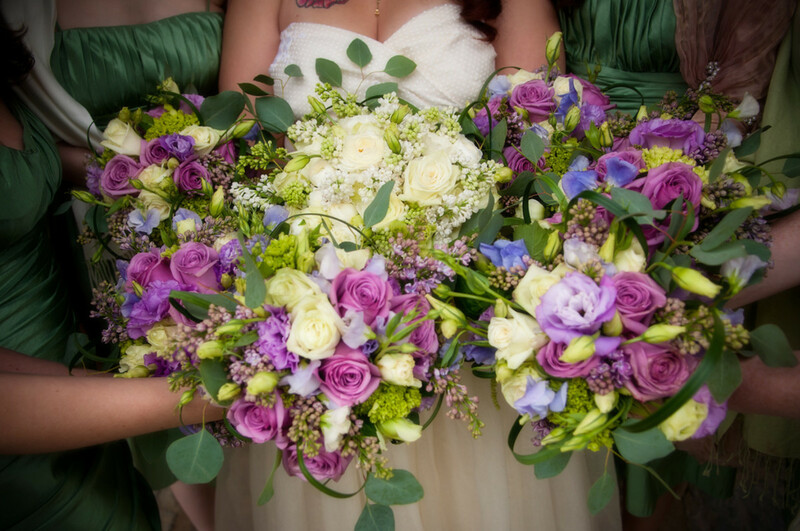 The trendy addition of succulents to a bridal bouquet lends harmonious shades to a bouquet for this palette. 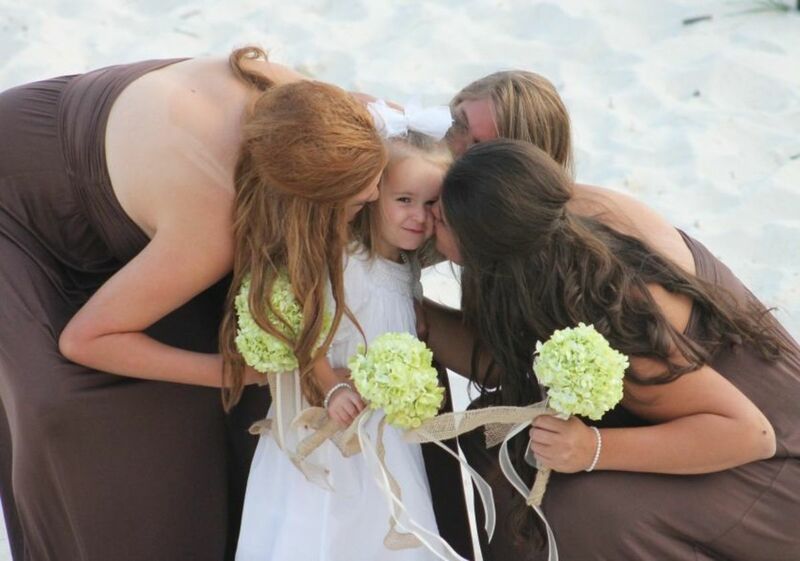 Consult the Pantone color choices since your bridesmaids' dresses and other purchases will follow those color trends. I use Pantone color trends regularly when designing wedding stationary to provide a fool-proof way to match hues to bridesmaids dresses and other important sources of a color theme. Take swatches along when consulting with a florist. It is possible to have a completely coordinated look for everything, from the bridal party flowers to the table settings. 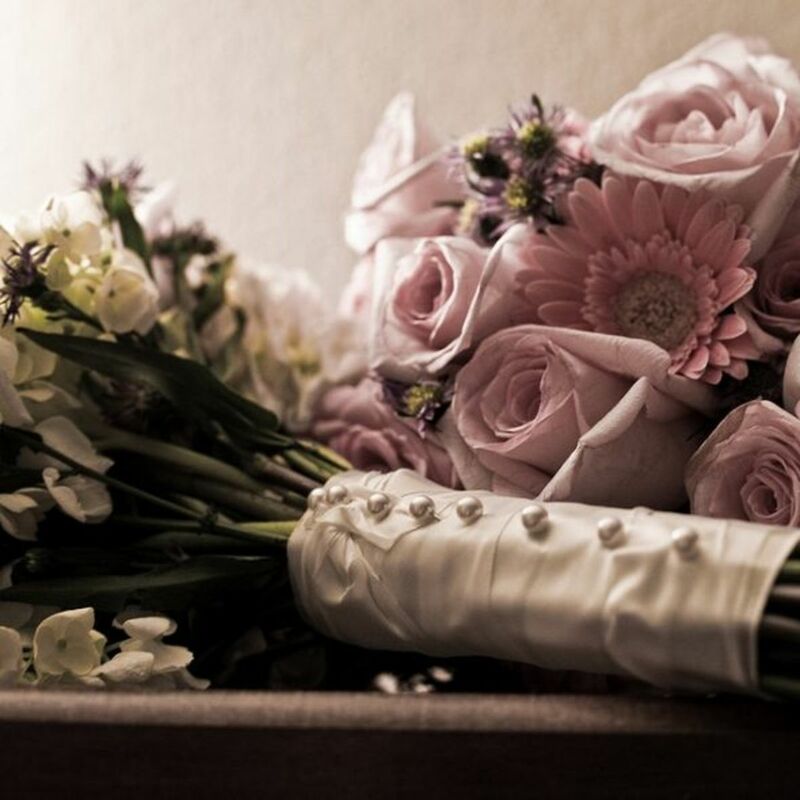 Think about which flowers colors will complement the colors you choose for your wedding theme. Here are some popular color themes for different seasons. I have chosen some floral material suggestions to create your chosen color combination. All-White Wedding: The bride won't be the only one wearing white. It'd be a stunning event. Black and White: These two colors together create a very striking and formal look.There are no truly black flowers, but Calla lilies come in an almost black and a creamy white which may give you a tuxedo effect for all your flowers. 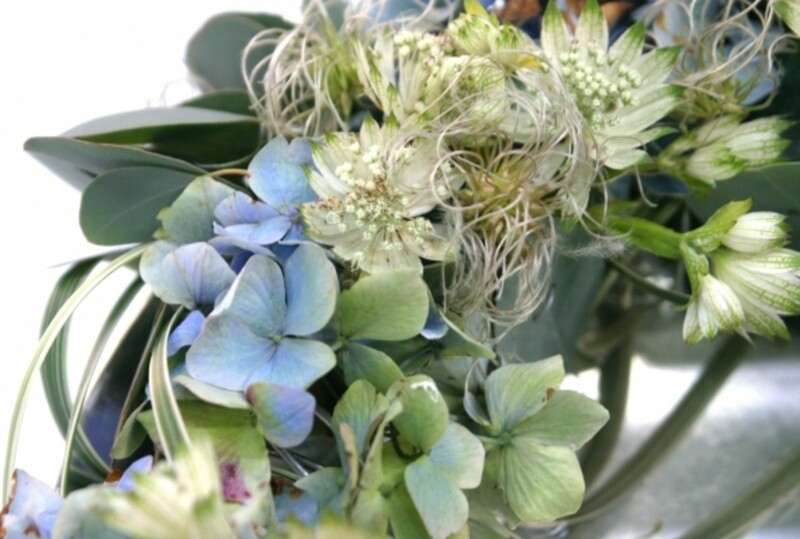 Blue and White: This is a classic combination that can easily be done in flowers. 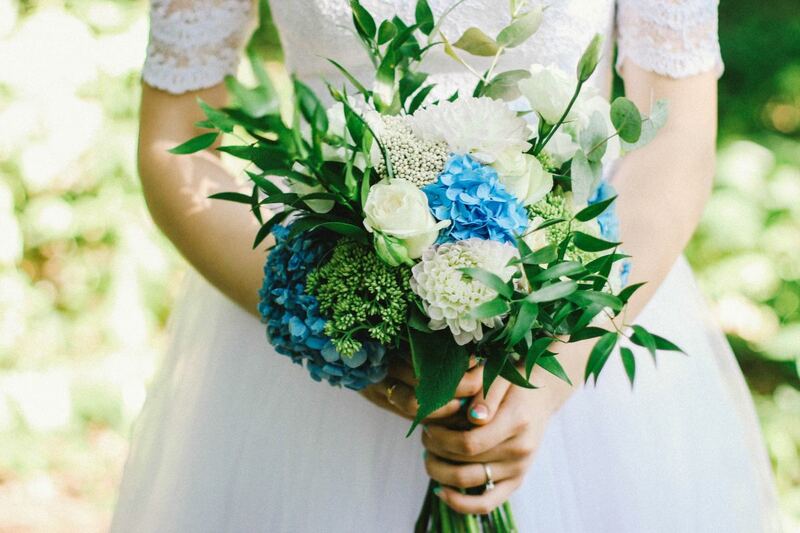 Simple and economical, blue hydrangeas are a lovely option to use to contrast with white roses. Silver/Grey and White: This could be one of the best themes for gorgeous floral arrangements. There are many silver-foliaged plants are used by florists, and most of the traditional and fragrant blooms for weddings are white. Examples include Artemisia, Tuberose, Lily of the Valley, orchids, succulents, Lambs Ears (betony), and lavender foliage. White and Navy Blue: Have a navy color theme? What looks more fresh and crisp than simple white calla lilies or sumptuous white roses? They are available in every month, too. Celadon and Pink: Soft green foliage and the many shades of pink flowers available make this an easy floral theme to accomplish. Robin's Egg Blue and Pink: Forget-me-nots or Cynoglossum create the right blue, while you can have your pick of pink roses, Callas, or peonies. Lilac and Chocolate Brown: Cymbidium orchids come in brown, and lilac is found in many blossoms and other orchids. Dahlias come in both hues. Freesias also come in a beautiful lilac. Mint Green: Mint leaves, variegated ivy, fresh white flowers, and even bells of Ireland keep the beauty of this hue going throughout the table arrangements. Burnt Orange and Cranberry Red: Try this combination of delicious colors in autumn flowers like chrysanthemums, berries, red and orange roses, certain sunflowers, blanket flowers, and more! Royal Blue and Sun Yellow: Irises have a beautiful royal blue color that you can accent with ribbons and dyed carnations. Sun yellow is one of nature's favorites— yellow daisies, mums, roses, Callas, and all sorts of choices can round out the wedding decor. Chocolate Brown and Taupe: With this subtle color combo, a spark of bright color might be your accent. If you desire a completely muted look, just go for white flowers with silver foliage. Chocolate lace flowers make a delicate filler. 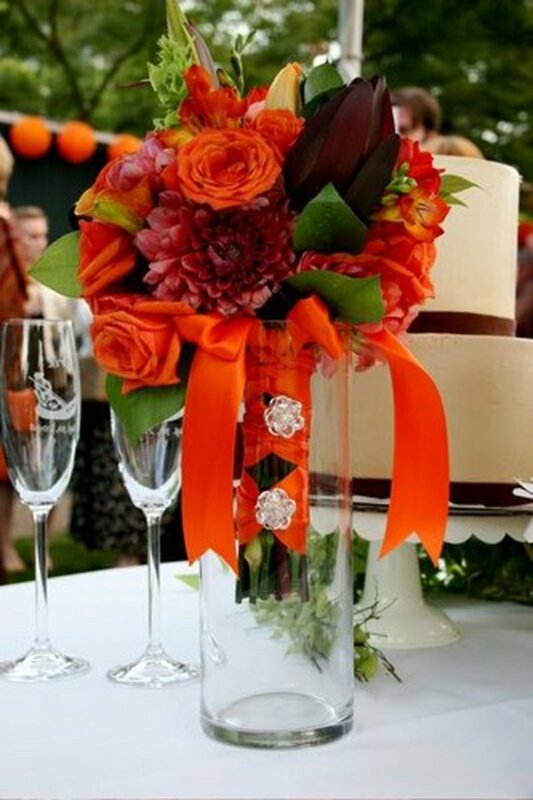 Burnt Orange and Chocolate Brown: Mums and sunflowers, gloriosa daisies, and Callas could deck out these themes. Celadon and Chocolate Brown: Pair together the palest green foliage with green roses or carnations and preserved magnolia leaves. Yellow and Chocolate Brown: Yellow and brown are two of the colors found in the always useful and elegant Callas. 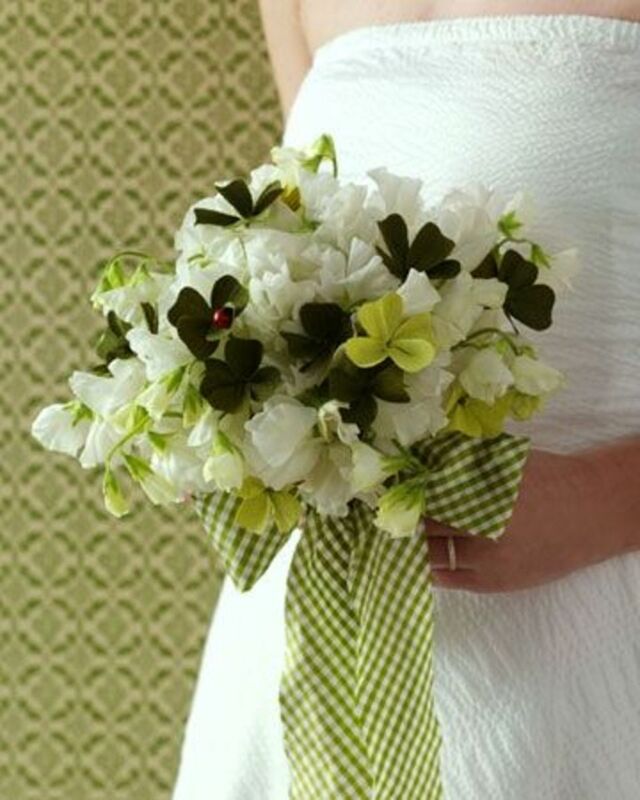 Very simple hydrangeas bring a bright spot of pastel green to the mocha brown dresses. Old Fashioned Roses are a romatic choice. 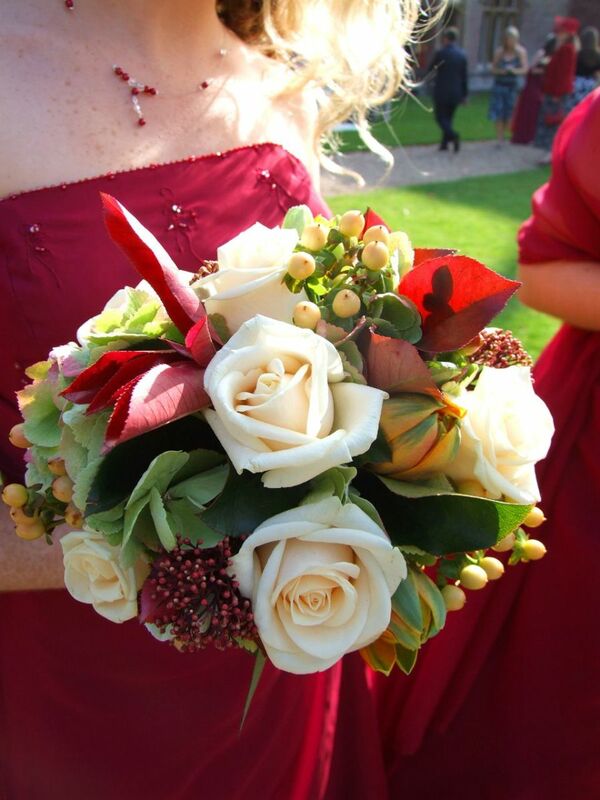 Cream white roses, berries, red foliage are gorgeous for winter bouquets. White lily, Carnations, and Ornithogalum (Star of Bethlehem) bring variation of a pure white theme. 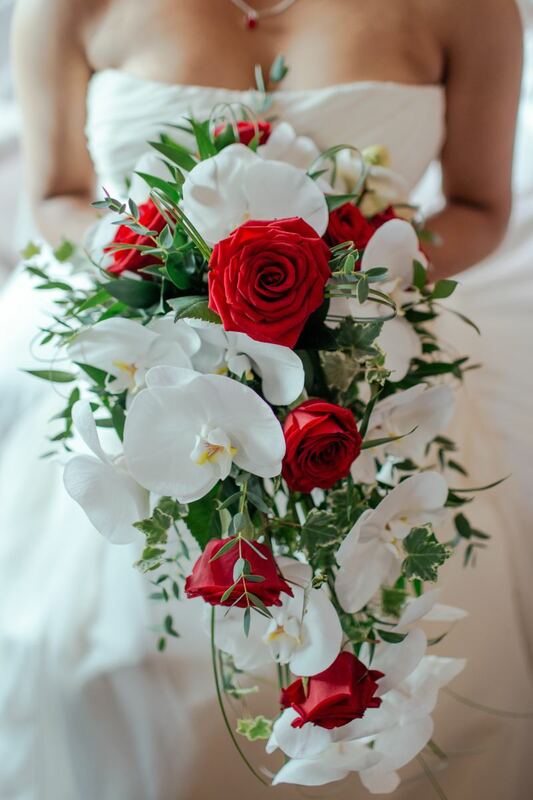 Sleek, elegant, unstated and sophisticated - no wonder Callas are the top choice for brides. Use Flowers to Create Your Wedding Theme! 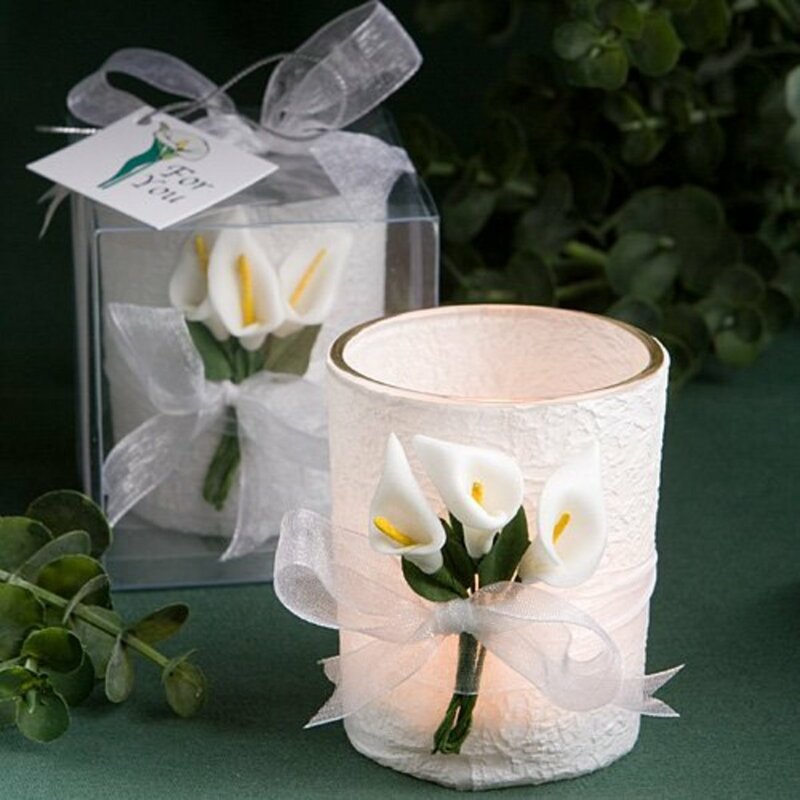 Calla lilies are popular not only for their graceful elegant shape and variety of color choices but also because they are perennially available. Whether you use fresh flowers or their representations, they can adorn all your decorations, from the bouquet to the guest books. It creates a very elegant and coordinated look to the ceremony and reception. If you love Calla lilies, center your theme around them. They are the most popular of the nuptial blossoms. Carry a theme of the meaning of the flowers you choose into your choice of favors. In this case, Callas represent purity and faithfulness. 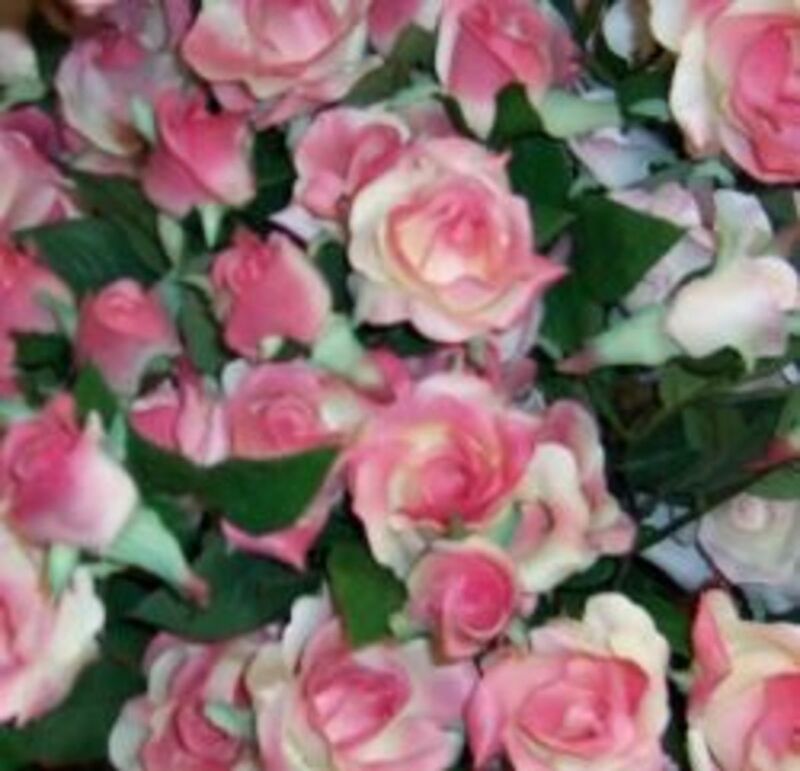 Artists painted these blooms in their pictures of the Virgin Mary. What Are Classic Wedding Hues? You may not find all the colors of these popular wedding themes in a blossom, but use ribbons to tie up bouquets, or accent floral displays. 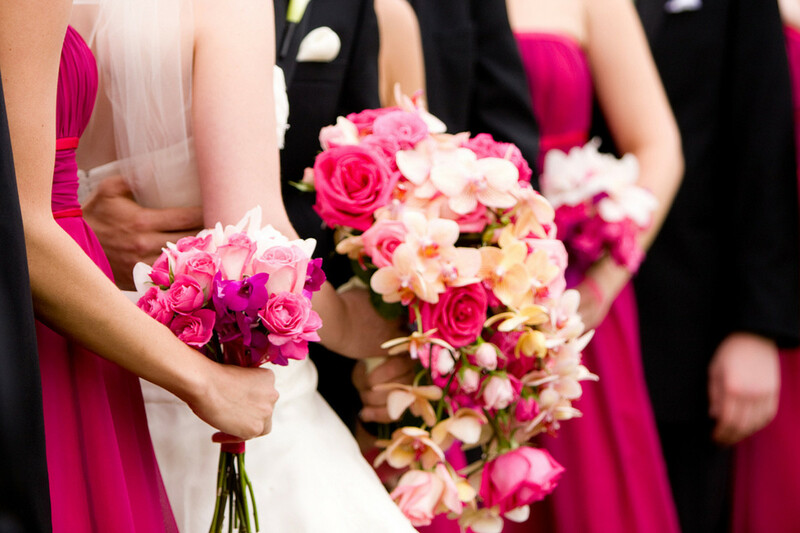 Color trends come and go, but there are perennial favorites that are always regarded as good colors for weddings. Any of them can be made fashionable when combined with accents and elements, such as metallics in silver, pewter, copper, or rose gold. Harmonies like Tiffany Blue and rose quartz create a variation on the newest themes. Fresh flowers can be in the main color or an accent shade, and the metallic elements can be added with ribbons or jeweled pins instead of the typical pearl pins. 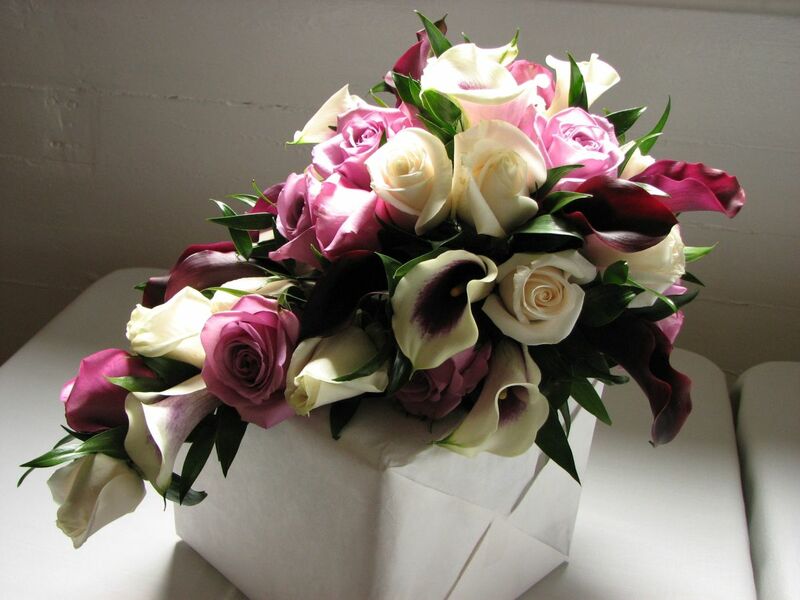 Some flowers, like roses, come in such wide array of color they are included in almost every color theme. According to Trends, more and more mothers are carrying small posies instead of wearing the traditional corsage. Those small "posie" bouquets would be what used to be known as "Tussy-Mussy" bouquets. "In a gilded cascade, beaded florets, strung by hand, glint like tiny holiday lights amid cymbidium orchids, bupleurum, gloriosa lilies, and lady's mantle; velvety gold-tipped cockscomb lend their own luster. The stems are wrapped in a wide gold band of satin ribbon and adorned with "something old": a starlike rhinestone brooch." I also would like to know where I can get a copy of what looked like a poster with all the different flowers and colors. This is very helpful information! I remember when my sister-in-law was planning her wedding, she had her heart set on a certain few types of flowers for her bouquet and the flowers for the bridal party, but when she went to the florist it turned out that a couple of them (I forget which flower) were out of season - one type was simply not available, while another type was available but the cost was sky-high and they couldn't guarantee the quality. If she'd had a better idea of what flowers were best for the month she was looking at for the ceremony, I'm sure she would have sidestepped a big disappointment and been much happier with the flowers she ended up ordering. Great lens. I can tell you spend a lot of time on your research. I love the idea of different flowers for each month of the year! What a beautiful lens. 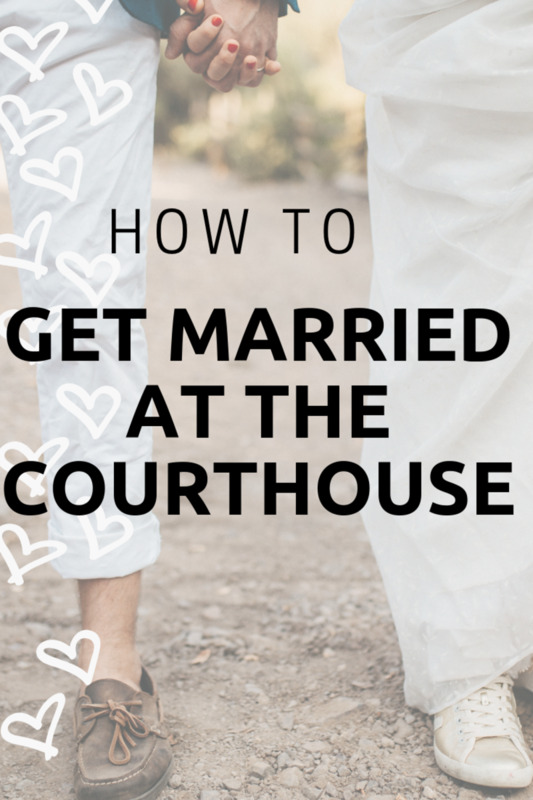 I'm not planning a wedding, but looking through your lens gave me ideas for other parties. Love this. I think this is very thorough lens. It is also structured well. What a lucky daughter you have!! 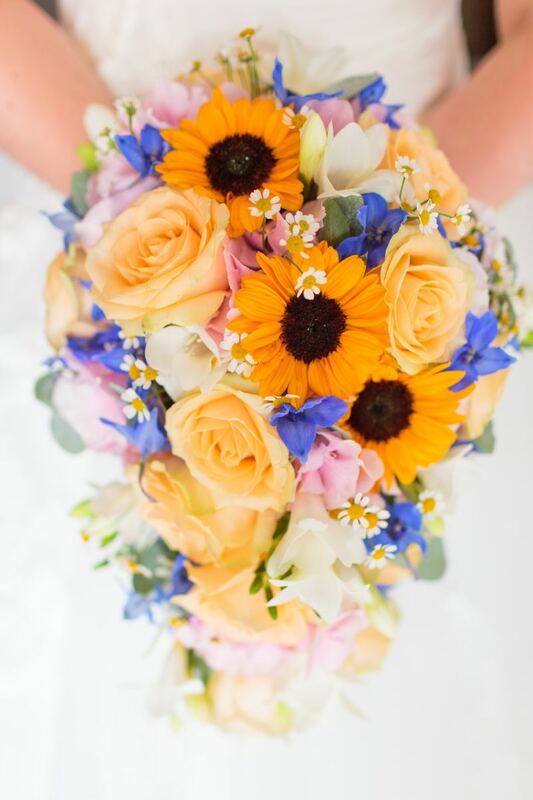 I was on a wedding two weeks ago and wedding flowers were sunflowers, beautiful. Great ideas for flowers on that special day ! The flowers look beautiful. I find it interesting that the size of wedding bouquets have changed over the years. 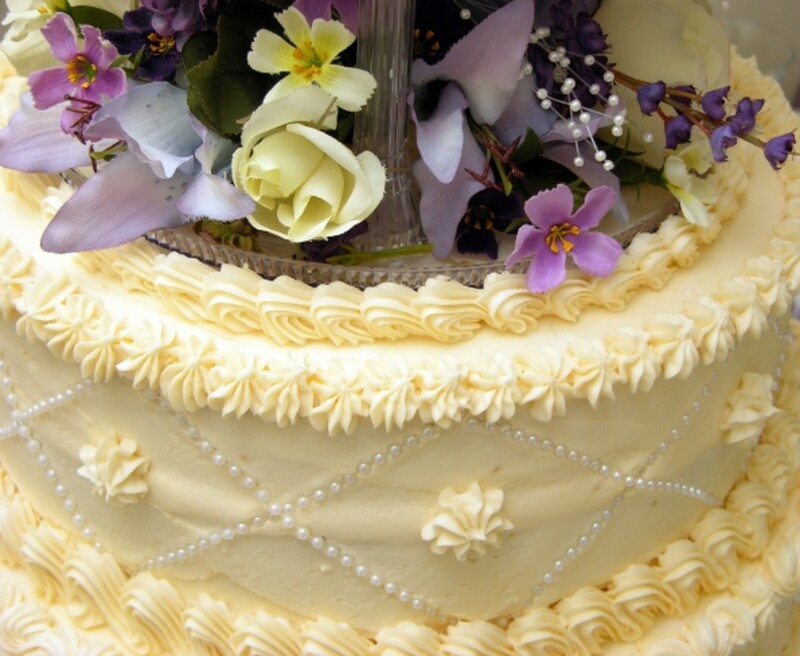 Such beautiful wedding bouquets and cake decorations! I have enjoyed your lens o Flowers for weddings. My daughter will be getting married soon and she will have tulips. Thank you for your lens.